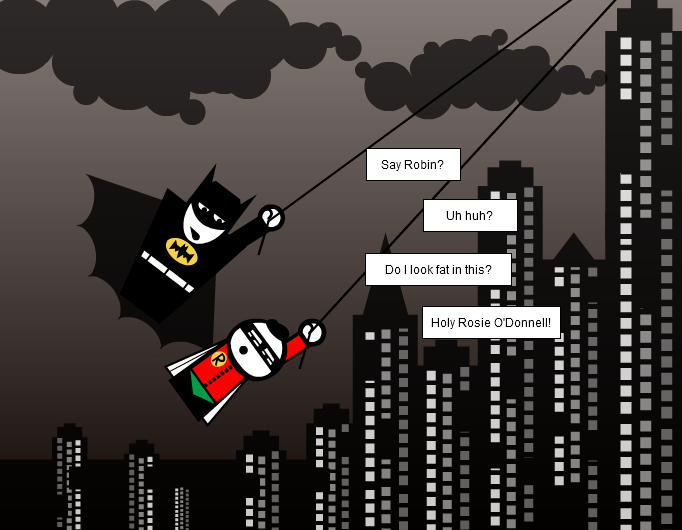 I don't know if Batman looks fat but Robin definitely looks gay in that suit. Wow, the background is absolutely awesome! Displaying 22 out of 22 comments.